Coinmedia.co is a US-based bitcoin ad network, which allows bitcoin payment only. Automotive, arts, blogs, business, computer, finance, games, health, home, internet, money, news, sports. 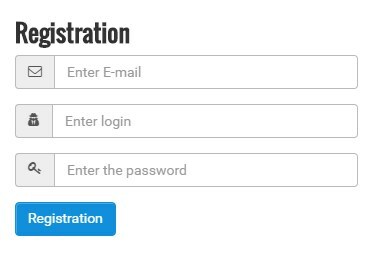 The anonymous signup is easy as can be. Fill in your anonymous e-mail address, a username and password, that’s it. There are no contracts at all. Campaigns, runtimes and budgets can be adjusted each day, and advertisers as well as publishers are free to quit investing or earning at any time. There are no ongoing fees. They don’t state their network fees at any place on their website, which is very unusual. 0.0005 BTC is the minimum deposit amount. Important: If you send less than 0.0005 BTC, it simply won’t be added! Coinmedia supports CPM only, which means that you can only pay for views (per thousand), not for clicks or other performances such as leads or sales. The CPM starts from 0.00001 BTC and goes up to 0.00058500 BTC, depending on the traffic quality you choose. You can choose adplace types out of these networks and place orders. The adplaces are either a text ad or banners in different sizes. 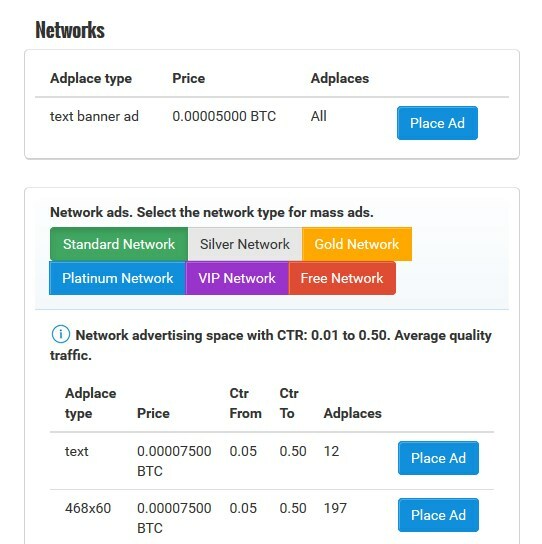 Beyond the choice of one of these networks you can also just order a text ad for 0.0005 BTC CPM which will be placed randomly across the networks. So if you click on „place ad“ at the adplace of your choice, get to create the campaign. Either write your title, text etc. or you upload your banner. You’ll see that the gep-targeting is charged additionally at Coinmedia, even 50% from the basic costs. Orders are very precise here, as you buy an exact amount of views. On the bottom of that page you can see how many others have orders for those adspaces, too. Sometimes there is no other one, so the spaces will be filled by your ads only. At Coinmedia’s you get revenue-share. The minimum payout is 0.004 BTC with a 0.0005 BTC transaction fee towards miners. Visitors of the coinmedia.co website can’t see the publisher menue section, untill they’ve signed up. So after signup you can easily add your website and start earning. Coinmedia offers filters so you can ban certain sensitive topics.